Partnering with startups has become a vital component of how ABB embraces open innovation. A key pillar of this approach is SynerLeap. To understand better how SynerLeap supports ABB innovation and works with its startups, ABB Review met with Peter Löfgren, CEO of SynerLeap, and Malin Carlström, Investment Director at SynerLeap and Senior Vice-President, Northern Europe, ABB Technology Ventures. ABB Review (AR): Before we start talking about SynerLeap, can you both tell us a bit more about yourselves and how you ended up at ABB and eventually at SynerLeap? Peter Löfgren (PL): I joined ABB as an Executive Trainee many years ago and I have spent my whole career within the company – chiefly with one foot in R&D, creating a bridge to other functions and ecosystems. My roles have covered project and line management, Head (and founder) of the ABB Simulation Network and Head of Strategic Collaboration and Business Development at Corporate Research in Sweden. I have a passion for value creation and love to drive change in a rapid AND sustainable way. Malin Carlström (MC): I have spent my entire career in the Swedish and Nordic venture capital industry, placing investments in a wide array of segments. Some of my previous success stories include Tail-f, Fishbrain and Soundtrap – companies spanning the range from B2B to angler communities to online music studios. I advise startups and have been an entrepreneur myself. I met with SynerLeap when at my former employer and was impressed by what they were doing. I joined ABB at the end of 2017 after discussions with SynerLeap, the Swedish ABB organization and ABB Technology Ventures, as ABB was seeking to strengthen its investment efforts in the Northern European market. AR Can you please describe the innovation eco-system at ABB and how it has changed in the last few years? PL	Working in an ecosystem is necessary for staying ahead in innovation. Alone, you easily become slow and miss out on disruption. What is happening now is that ecosystems tend to be larger. For example, before, working cross-border with universities and other corporates was quite enough, but today you need to engage very closely also with entrepreneurs, startups, accelerators, science parks and various other partners→1. Entrepreneurs and startups bring speed and great technology – perfect attributes when combined with the global presence, muscle and industry experience of ABB! AR	What are the biggest trends you see when it comes to corporate R&D and open innovation? PL	I have the pleasure to meet with many global corporates and external innovation groups. In fact, we have delegations visiting SynerLeap regularly. I often feel that there is an innovation anxiety driving those visitors. What I mean is that they realize that they need to do something in order to improve their innovation, but they are still searching for the right recipe. I see this as the first step in a transformation toward more open innovation, which is the trend. Many come back a year later, and by then they have realized that there is not a single, simple recipe – you just have to start by doing something and then iterate your way forward, instead of just discussing. What comes next is the cultural change in the corporation, to really understand and leverage benefits. 01 The SynerLeap ecosystem of startups, entrepreneurial solution providers and partners joins forces with ABB’s internal innovation and businesses. One SynerLeap startup alumni member, Mobilaris – now a worldleading location-based intelligence and decision support company that provides solutions for multiple industries, including mining – collaborates with ABB in mine automation. AR	Tell us a bit more what role SynerLeap plays in this market environment? MC SynerLeap is actually at the forefront of collaboration between large corporates and startups in the Nordics. With SynerLeap, ABB is demonstrating how close interaction with startups leads to actual business value in terms of concrete business projects, knowledge exchange and the increase in innovation speed. When startups and big corporations meet, both learn that the other party operates with a different clock frequency than themselves. This difference challenges both sides, especially the big company as it is forced to shift focus from quarterly reports and annual budgeting to taking rapid and efficient decisions and actions in a controlled manner. And as Peter points out, innovation thrives in environments where openness and a willingness to share insights come from all parties involved – creating yet another way for bigger companies to think about open-source initiatives and collaboration interfaces. AR	How was the idea about SynerLeap born? PL Working in a new role as Head of Strategic Collaboration and Business Development at ABB Corporate Research in Sweden a few years back, I soon realized that working cross-border between corporates was quite easy – though the actual initiation of a joint activity was never fast – but the same did not apply between a corporate and a startup. The simple conclusion was that there was a large gap of trust. And this is a pity because some of the best and disruptive technology comes from startups. Not only that, but their small size makes them very nimble and they can get to the prototype stage without the interdepartmental or organizational obstacles that can sometimes slow things down in the bigger companies. This is why, when I visited Astra Zeneca and was introduced to their Innovation Hub, where the startups sit openly in the same R&D environment as the corporation in order to maximize interaction and to build trust, the SynerLeap vision was born! Eight months later we inaugurated SynerLeap and on-boarded the first four startups. Three months later we were already ten startups. AR	How can a startup get into SynerLeap and what does it get out of the participation? PL	Just contact anyone in our team or apply at the website. All details are at www.synerleap.com. We bring in one to two companies every month. 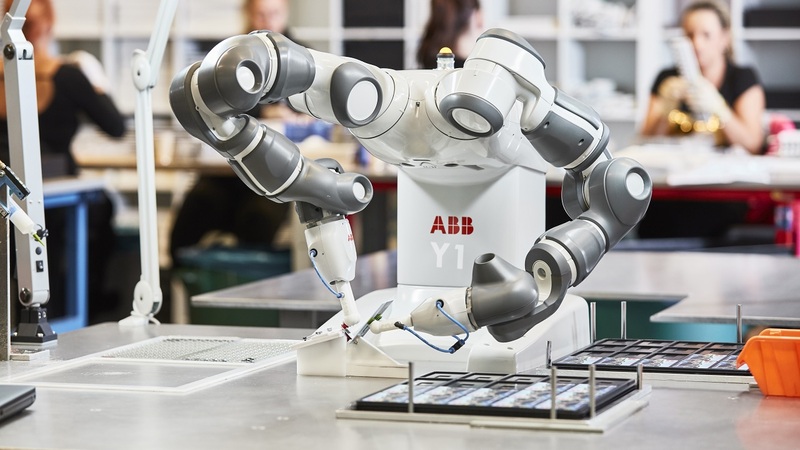 Companies can accelerate development by accessing the unique ABB infrastructure – for example, our labs within power and automation that cover topics such as robotics, communication and high voltage as well as ABB’s industry knowledge from innovation professionals – 60 percent of whom have a PhD – from 50+ countries. In addition, we will help with matchmaking between industrial needs and their technology. When it comes to establishing collaboration between startups and ABB, we have a hit rate ten times higher and an effort ten times lower than traditional methods of connecting with startups. Sometimes ATV, ABB’s strategic venture capital unit, also invests in a SynerLeap startup. Both teams generally work closely together in order to fully leverage startup partnerships and value extraction. AR	What does a typical collaboration between ABB and a SynerLeap member look like? PL All sorts of collaborations already exists. We have R&D collaborations, business collaborations, vendor-client collaborations, but we also see that individuals can move between the two worlds. 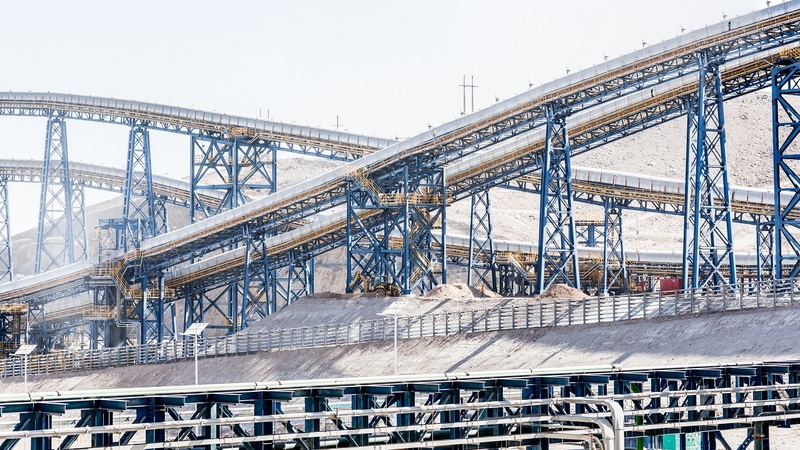 As a concrete example, together with one of the SynerLeap members, Mobilaris, ABB delivered mine automation to a mine in Russia→1. 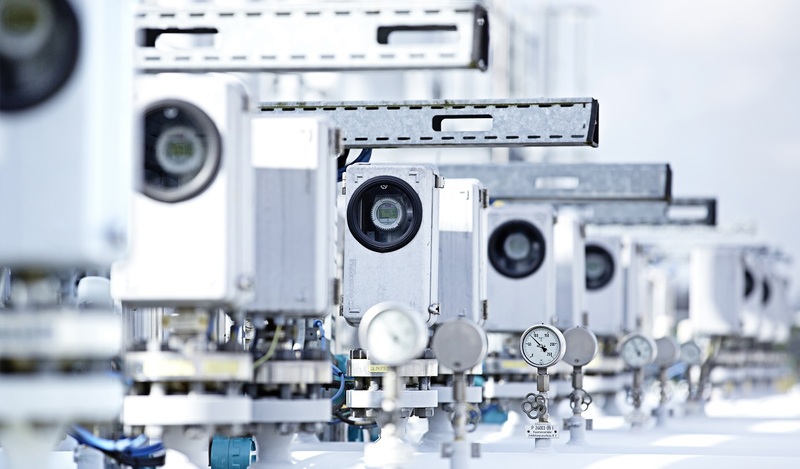 ABB delivered the 800xA system, and Mobilaris plugged in their top-notch localization engine. I really like these types of synergies! On the R&D side, we have a lot of exciting synergies – for example, a company with real-time algorithms for use in stock exchange markets combining with our robot technology to generate new ways of programming and interacting with robots. Disruption typically happens at network boundaries, so what we can do is make sure these people and networks get a chance to interact! 02 MTEK adds value to ABB’s YuMi dual-arm collaborative robot. AR	Malin, what role do you play in enabling collaboration? MC	As a part of the SynerLeap team, I am always accessible to the member companies when they seek advice and connections into the Swedish and global ABB organization. I try to identify key BUs as well as individuals for each specific entrepreneur and startup. In some cases, we cement a collaboration match with an equity investment, as in the case of Graphmatech. And for ABB, I am often asked by BUs and research centers to give presentations on what the SynerLeap concept comprises and how ABB divisions can cooperate with the member companies to a larger and more frequent extent. AR	Tell us a bit about one of the latest companies that joined SynerLeap? MC We have just welcomed MTEK Industry to the SynerLeap family. MTEK happens to be an authorized value provider to ABB. MTEK’s focus lies in developing YuMi concepts in Industry 4.0 directions. MTEK constructs fully digital and real-time collaborative containerized manufacturing solutions with deep technical integration with YuMi→2. Other recent additions include Univrses, Ekkono and Yazzoom [1–3]→3. 03 Yazzoom improves company processes by means of signal processing, artificial intelligence, computer modelling, software engineering, data mining and advanced process control. AR	What is next for SynerLeap? MC	We will seek to expand SynerLeap in a more scaleable and global manner. Yazzoom would be a good example here as it is the first non-Swedish company joining. We are also exploring additional partnership opportunities to further increase the connections between ABB, SynerLeap, ATV and the international startup and investment communities. PL Yes, agree! Overall, we also need to be even faster in many parts of our execution, for example in on-boarding companies, starting collaboration, etc. Additionally, a lot of our efforts will continue to go into optimal value extraction for the startup and ABB by continuously focusing on actively facilitating collaboration projects and simplifying internal processes. AR	Can you give us some concrete examples of technologies that you believe are bound to cause disruption for ABB? PL There are so many exciting technologies and opportunities ahead. My favorites at the moment are probably AI, vision technologies and machine learning, followed by blockchain. Some examples of SynerLeap companies covering these fields are Imagimob→4, Ekkono Solutions, Univrses and BIP On. 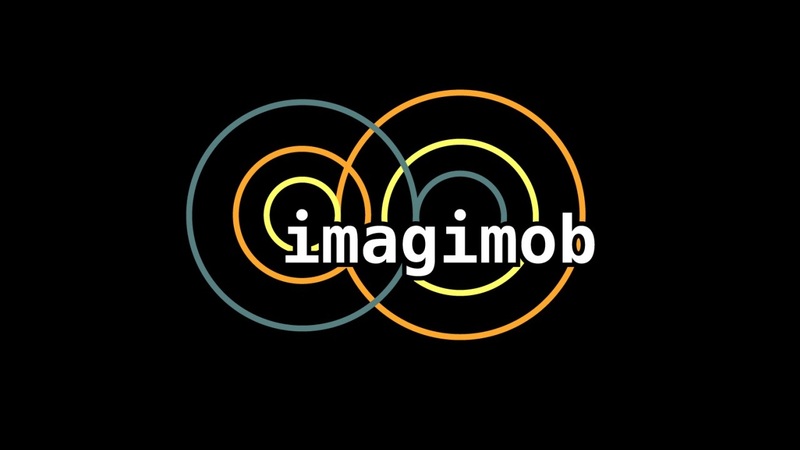 04 Imagimob is a specialist in artificial intelligence products for movement analytics of things and people. One such product is SensorBeat, which takes sensor data or any signal as input and translates this into actionable insights in real time. SensorBeat is a unique solution in which the AI runs on small devices. The edge approach differs from solutions where all sensor data is streamed from the device to the cloud, where all the intelligence is located. MC	I believe the application technologies of graphene now have reached a maturity level that makes it a material that we will soon see in a wide array of applications, not least in additive manufacturing. Energy-related technologies that include photovoltaic, batteries and grid management will have a significant impact on many of ABB’s core markets. We will further continue and speed up the process of moving ABB’s business model into software-as-a-service (SaaS) and data-driven structures. AR	Malin and Peter, thank you for the interview.